One of Ibiza's favourite parties heads to New York with a massive line-up for its largest US show yet. If you are in New York next month, take note. 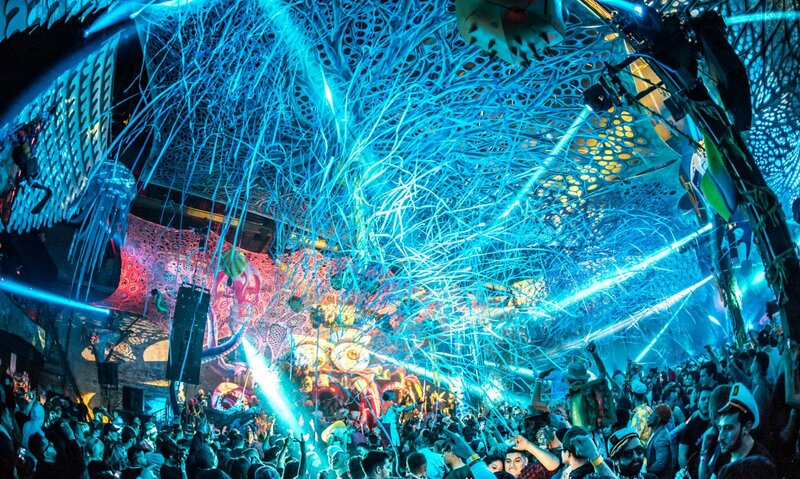 One of Ibiza's and indeed the world's favourite immersive clubbing brands, elrow has announced the line-up for its largest US indoor event in the US. Here goes. Thirteen super-star DJs from Spain, Germany, Greece, the UK and the US will be bringing the tunes to this edition of the world's most extravagant party experience. Paco Osuna, Victor Calderone, Audiojack, Bastian Bux, Charles Meyer, Detlef, Joeski, Mathias Kaden, special guest Matthias Tanzmann, Miss Jennifer, Sante, Toni Varga and Westend will be rocking the two massive rooms for over ten hours with exalted house and techno. With "El Bowsque Encantado" - Spanish for "the enchanted forest" - as its theme, the monster party will be bringing to life the craziest parts of the subconscious. Expect magical creatures, unicorns, pixies, fairies and elves riding sunbeams through giant trees - plus much, much more. Taking over the Avant Gardner in Brooklyn New York on 23 February, it sounds like the perfect practice run for Ibiza 2019 to us.